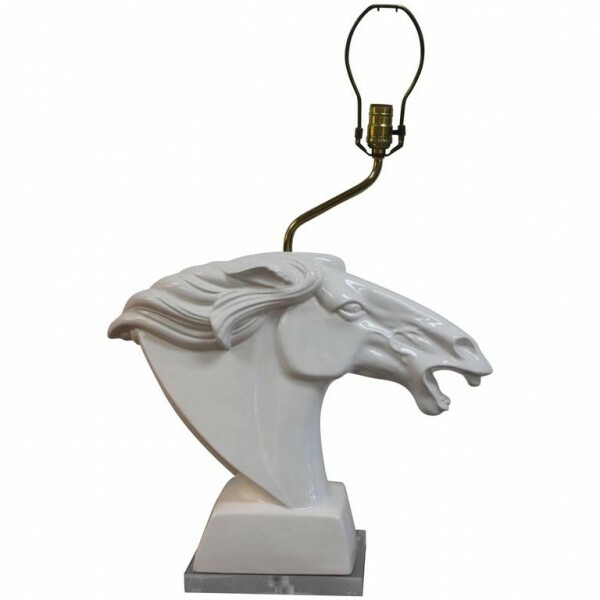 Ceramic horse head lamp on a lucite base. 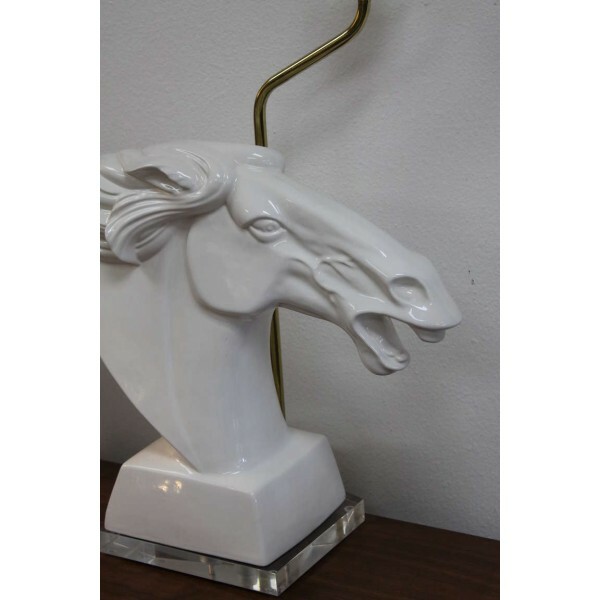 Lamp is 22" high from base to the bottom of socket. 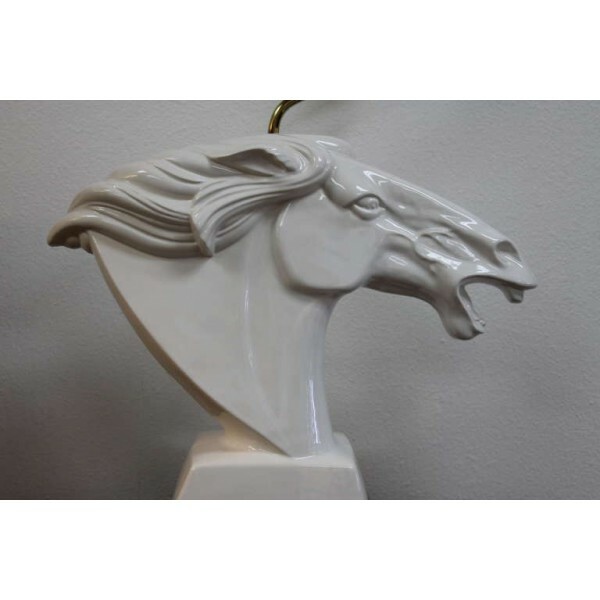 The ceramic horse is 10" wide. 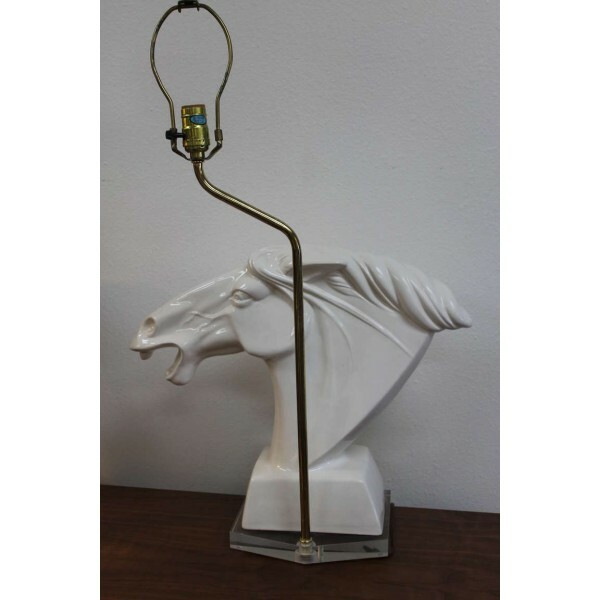 Lamp has been professionally rewired.